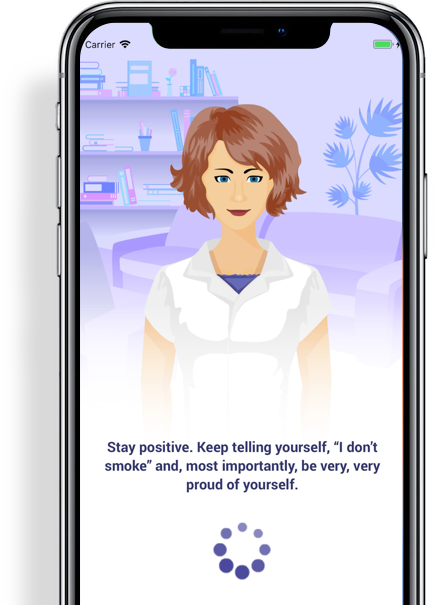 Quitting smoking is rewarding but it can be tough, so it’s best to have a fully trained stop smoking coach by your side. No graphics to navigate, no graphs to understand, just a personalised conversation with a trained expert. 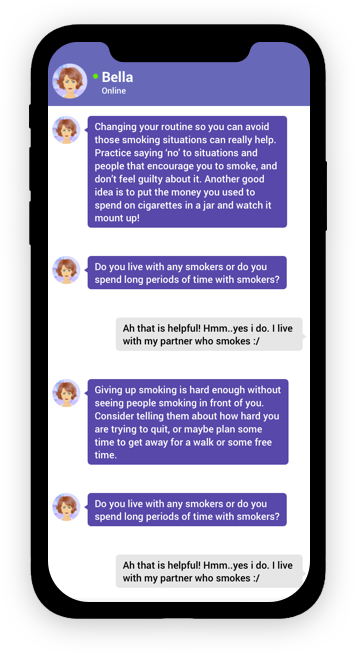 To quit with Bella is really easy. 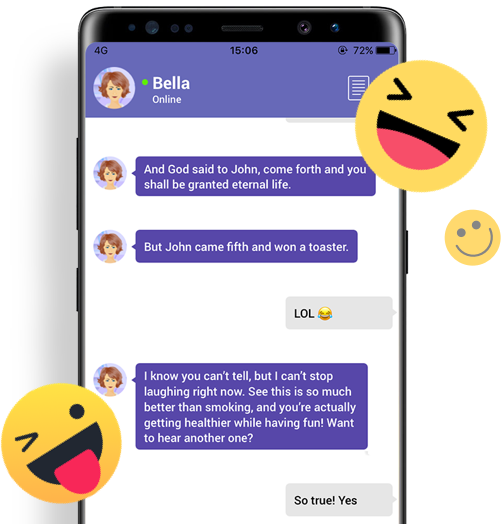 Download the app and start talking to Bella. Talk to her in a completely natural way. Advanced artificial intelligence allows for you to have a fluid and human like conversation with Bella. Answer the questions and talk honestly with Bella. She will use her knowledge to provide you with personalised support. 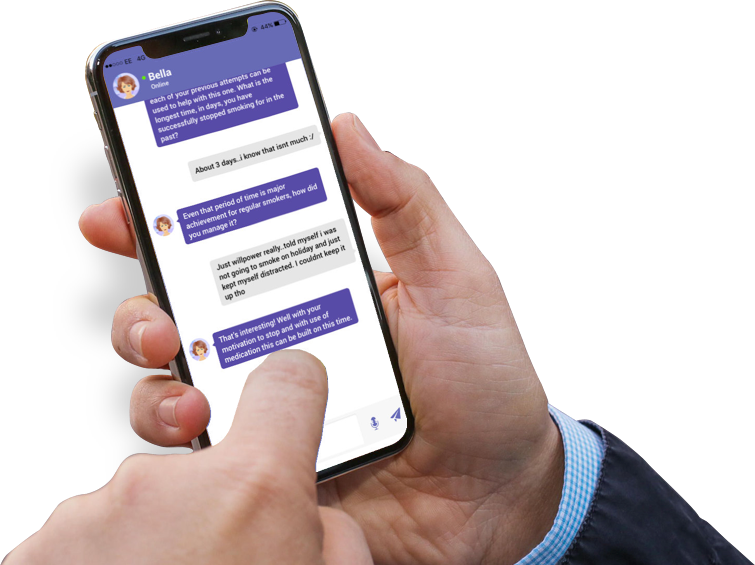 Bella remembers your situations as you describe them to her, so you always get a personalised service. 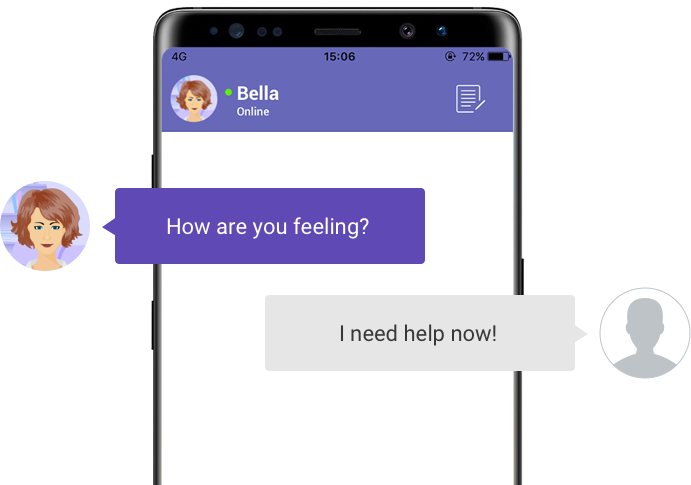 You can also talk to Bella by pressing and holding the microphone, as well as hearing her talk by pressing and holding a message. Bella is ready to provide expert support whenever you need it. 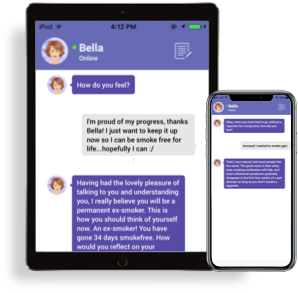 Bella has been built on the NCSCT/NICE evidence base (UK Best Practice) and knowledge from hundreds of experts, who have helped thousands of people like you quit smoking. Solutions 4 Health are the largest provider of stop smoking services in the UK. 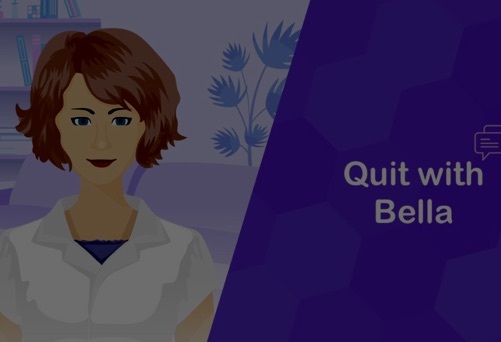 After a decade of service delivery, Quit with Bella has been created with all the experience, understanding, and knowhow that has helped thousands of people successfully quit smoking. Bella Talks. Bella Tells Jokes. Bella Learns. The technology doesn’t matter, it’s the impact on you to become smokefree for life that matters. Everything you’d want from your very own robo-coach.